The skies are sparkling with Christmas lights, airwaves are vuzzing with Christmas songs, the best restaurants and pubs in London are even buzzier than usual. 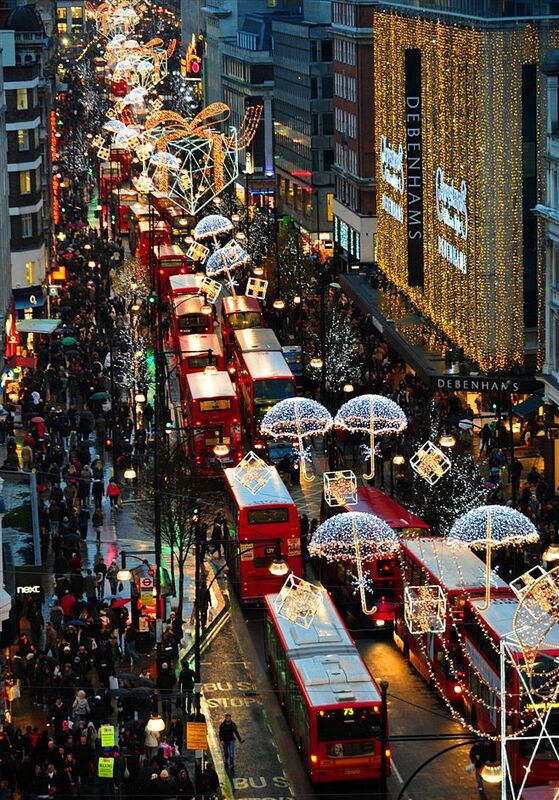 Here are some of the great highlights London has on offer this December. Winter Wonderland, Hyde Park from 17 November-1 January 2018 and it's free entry. It's an epic celebration of all that is Christmas. You'll find winter markets, festive fairground rides, ice skating, warming winter food, grottos and of course plenty of gluhwein. Festive playground Winterville is back, swapping Victoria Park for Clapham Common and featuring more dancing, eating, laughing, drinking and skating than you can shake a snow globe at. Street Feast, Backyard Cinema, Plonk Golf and the Wasted Chic Christmas Market will be popping up at the Common. This year, the rink will provide the usual festive fun on its perimeter: Hotel Chocolat will be in attendance, serving luxurious hot chocolates while an indoor cafe bar and viewing balcony is open to all and overlooks the ice. 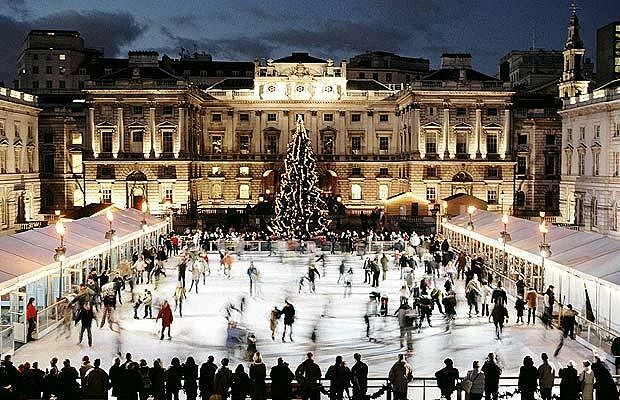 Somerset House's grand 18th century courtyard is the stunning setting for an ice rink again this winter. No matter how unimpressive your skating skills, a trip to this 900-square-metre outdoor rink will be the very defintion of festive fun. Located in the dry moat, the Tower of London ice rink offers a grand historical setting for seasonal skating sessions, along with views of London's ancient fortress and the river Thames. This year, the shopping hub will be home to 1,778 decorations (and 750,000 LED lightbulbs) inspired by falling snowflakes. It's the fifty-eight year the street has been decorated for the festive period. Covent Garden's cobbled piazza and market buildings are especially irresistible at this time of year. The Christmas decorations bring back a mistletoe theme for 2017, with over 40 mistletoe chandeliers hanging over the area's streets and in the pretty market buildings. Expect the return of a huge hand-picked Christmas tree glowing with festive lights and a rather magnificent silver reindeer standing on the east side of the piazza. From grand affairs in majestic venues like Westminster Abbey and St Paul's Cathedral to charify fundraisers with celebrity readings, London's carols services are guaranteed to leave you with a warm glow. 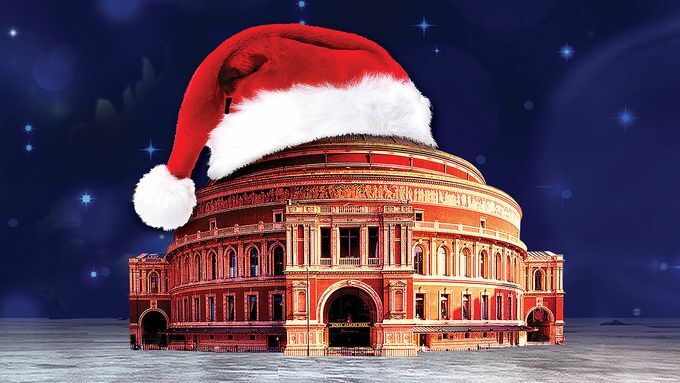 The Royal Albert Hall holds Christmas concerts from 13 December-24 December. It is the perfect setting to hear wonderful artists and music at this special time of year.